Bedford, NH: LASER COMPONENTS USA, a specialized provider of laser and optoelectronic components in the US and Canada, is proud to announce an active membership with the MIRTHE+ Photonics Sensing Center. 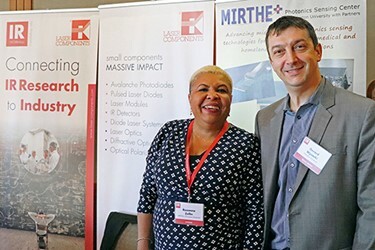 MIRTHE+ Photonics Sensing Center at Princeton University in New Jersey, USA supports the efforts in advancing mid-infrared photonics sensing technologies for environmental, medical and homeland security applications. Their collaborative program with academic partner institutions, industry and government laboratories accelerates technological innovation and offers unique access to innovative research and technology transfer opportunities. Ultimately moving photonics sensing technologies into commercial markets.